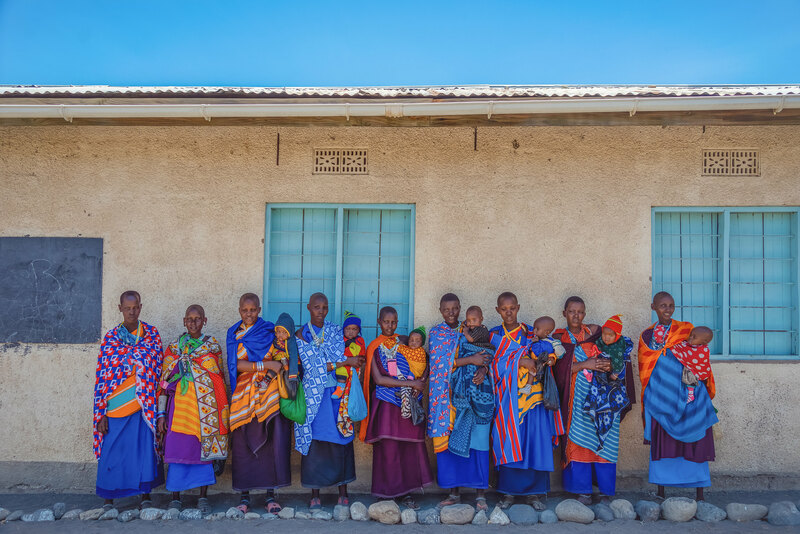 The colorful world of the Maasai women and their cute children. Beautiful group portrait. I really like that youve left in a slice of blue sky to balance the image. Really nice! Such strong, vibrant colours ! – and faces.! Das ist sehr schön…. die Farben, Mum/kids, es gefällt!